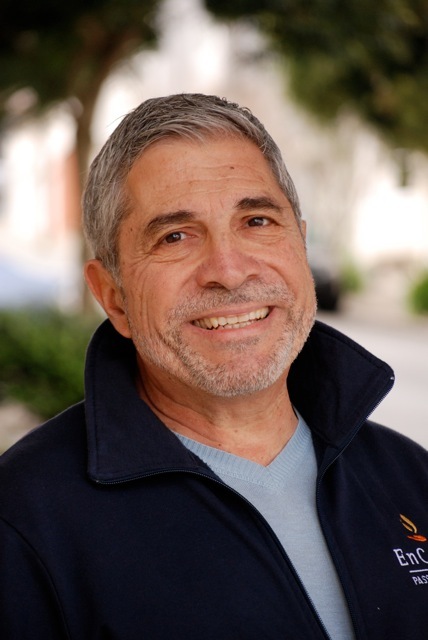 This guest post is by Steve Villano. Villano worked in the Administration of Governor Mario M. Cuomo from 1985-1993, serving as Director of the Governor’s NYC Press Office during two presidential boomlets concerning Cuomo. Villano’s first-book, We, Haiku, is an interactive digital e-book of Haiku and received a QED (Quality, Excellence & Design Award) from the Digital Book Publishers of America in 2014. It is available on Amazon and Barnes & Noble, and via Pronoun. 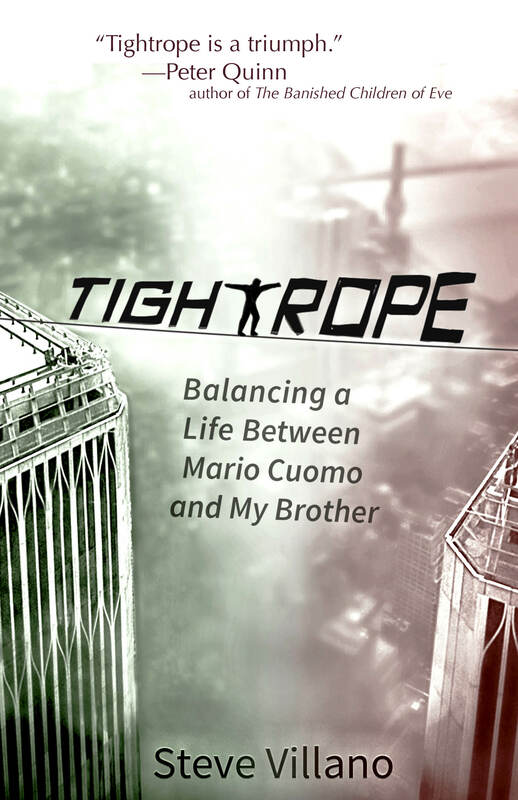 His narrative non-fiction book, Tightrope: Balancing a Life Between Mario Cuomo and My Brother, has been published in 2017 by Heliotrope Books (NY), and is available in both e-book and paperback format. I was nervous when I arrived at the 2015 Writer’s Digest Conference at the Roosevelt Hotel in New York. This professional gathering could clinch thirty years of work on one manuscript. Over decades, I nurtured and rewrote my account of working for former New York State Governor Mario M. Cuomo, while my oldest brother was associated with John Gotti. I had a unique story and was capable of telling it, but I was unskilled at bringing my work into the publishing market. Gotti was dead, and my brother, who had served prison time, was no longer involved with the Gambino crime family. On his 70th birthday in 2011, over lunch, I told him that I was the only one who could tell this story. He was, to my surprise, supportive. “Just don’t rat anybody out,” my brother said. “That would be kind of hard, Michael, since everyone is dead, “ I said, smiling. It was time to get serious. 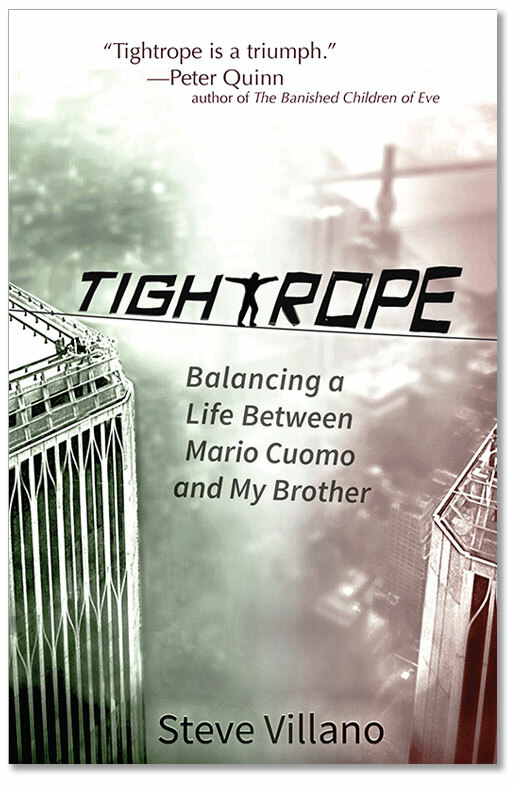 From late spring, 2015, my brother battled pancreatic cancer, which would claim his life in the first week of November and compel me to finish writing Tightrope. My manuscript had given new life to my brother and our relationship. A long-time Writer’s Digest subscriber, I knew the Annual Conferences were a place to “pitch” work, and connect with prospective literary agents and publishers. Still, I dreaded the Beat-the-Clock set up of the one-hour-long “Pitch Slams,” where each writer is given three minutes to summarize his book to as many agents/publishers as possible. The large, rectangular shaped conference room was bordered with tables, each one hosting two agents or publishers. As soon as the doors to the session open, writers ran in, like horses bolting out of the gate at the Kentucky Derby, clutching tightly their manuscripts and maps of the “Pitch Slam” session. Lines formed quickly behind the tables of the biggest publishers; I stuck to my game plan and sought out those I thought were perfect for my book. My pitch for Tightrope, perfected over 30 years, included a clear strategy to target genre-appropriate agents. I soared through my “Pitch Slam” session, securing interest from five agents. I was stunned by the positive reception I received, even though I knew I had a good story, and was preparing this pitch for a lifetime. Still, I was looking for more than a stack of literary agent business cards in my wallet, representing who I had to contact, once I returned home. I wanted to connect with an agent/publisher who intuitively “got” my work, and my compulsion to not rest, until I told my story. After my “Pitch Slam” session, I signed up for a workshop which addressed the decades-long genre-hopping phases my work went through: “How, When & Why to Switch Writing Genres.” Tightrope started as a stage play, morphed into a screenplay, and then moved into novel form—to protect the living—until the author Gay Talese advised me years earlier: “You’ve got a great non-fiction story here.” I walked into the Writer’s Digest workshop, moderated by Susan Shapiro and featuring, among others, Naomi Rosenblatt, Publisher of Heliotrope Books, and sat in the front row. Shapiro and Rosenblatt were clear, concise and encouraging, and when Naomi said to the packed room: “A long-pitch is symptomatic of not being on top of your material. Know where you are going,” I liked her directness and clear vision of how to approach a publisher. When the panel discussion ended and the seminar room began to clear out, I went up to the front table, where Rosenblatt was fielding questions, and not limiting her time to 3-minute morsels. Still, I succinctly pitched her my story—in 15 seconds—and we connected immediately. “I love New York stories,” Rosenblatt said. I knew I found a home for my book. Mine was the quintessential New York story, complete with mobsters, politicians, New York media and family tension. When I returned to California in late August, I quickly sent Heliotrope Books three sample chapters, an outline and a cover letter, and our creative collaboration was underway. Within 60 days of my brother’s death, Mario Cuomo died. I had run out of excuses for not finishing my book, and getting it to market. All of the principal characters were dead, but me. An agent/publisher loved and understood the story, and was ready to be its champion, and my publishing partner. So, in an odd way, I owe my creative collaboration with Naomi Rosenblatt and Heliotrope Books to Writer’s Digest’s Annual Conference, but not in the usual way, although the preparation for my presentation was useful in sharpening the shorthand for my story. Among a hotel full of writers, editors, agents and publishers, I found just the right moment at the Conference where I could catch my breath, listen more carefully, and take the time I needed to discuss my work. That, and finding the right creative partner to work with, has made all the difference.